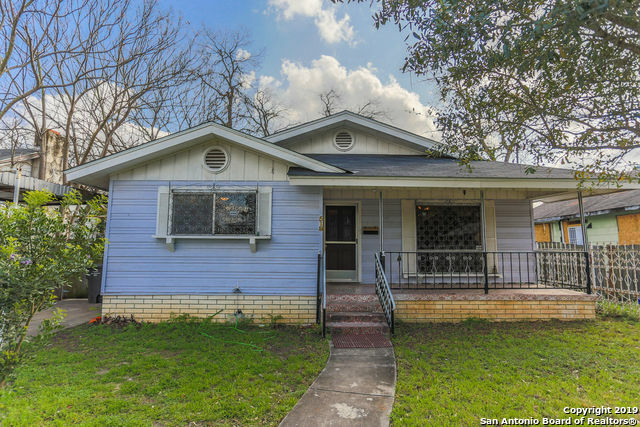 All PALM HEIGHTS homes currently listed for sale in San Antonio as of 04/18/2019 are shown below. You can change the search criteria at any time by pressing the 'Change Search' button below. "Traditional 1930's Charmer in Palm Heights. NEW ROOF, NEW HVAC, NEW LAMINATE FLOORS throughout the house. Granite counter tops in kitchen with stainless steel appliances. Minutes away from Downtown San Antonio." "Beautifully remodeled single level home. This timeless 3 bedroom, 3 baths beauty creates an idea for peaceful living. This lovely home features an inviting and open floor plan, well equipped kitchen with upgraded appliances and access to living/dinning area. The spacious private yard completes the outdoor ambiance. Convenient to shopping and dinning. Ready to move in." "Don't Miss out! This home has been beautifully remodeled with designer paint scheme. This home has a inviting open floor plan from kitchen to living area. Spacious bedrooms and 2 full bathrooms newer roof, HVAC system, and kitchen appliances and more. Large carport with plenty of parking and a nice backyard area for entertaining space. Convenient to shopping and access to Hwy. Do Not wait til it is to late!!" 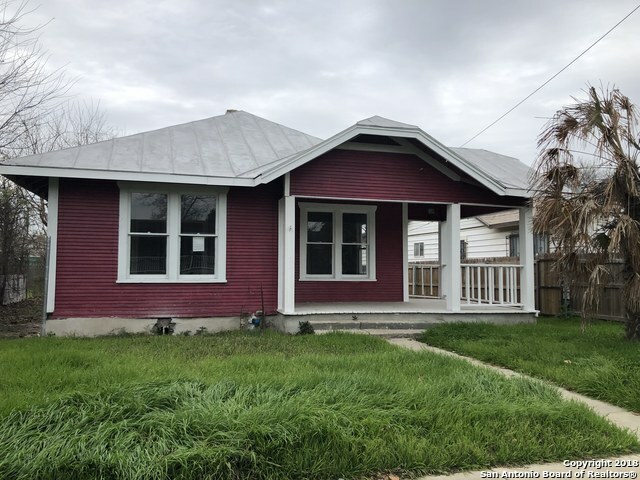 "Recently remodeled 3 bedroom/2 bathroom, single story home! Fresh paint and flooring throughout. Updated bathrooms and more! Come see the great kitchen layout featuring white cabinetry, abundant granite counter top space, and gas cooking. Open floor plan! Level corner lot. Enjoy TX BBQs on the wood deck overlooking the backyard. Located in the Palm Heights area, minutes to the Lone Star District and downtown." "Newly remodeled home including new paint, new carpet, many new fixtures, and more. Open concept with coffered ceiling and crown molding in living room. Within walking distance to Normoyle City Park and Recreational facility with a pool, sports courts, and picnic grounds. 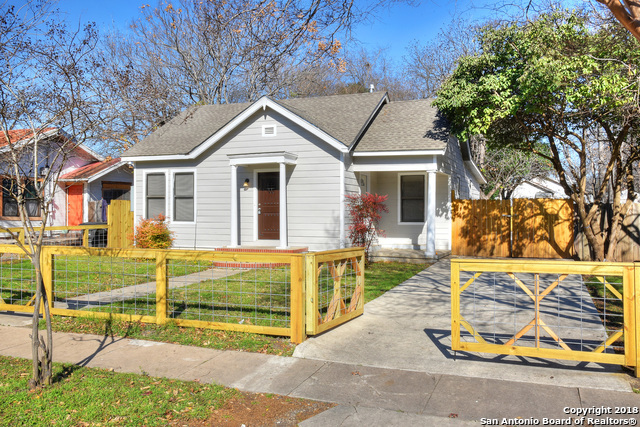 Just a few blocks from I35 and minutes to downtown San Antonio." "Charming home in Palm Heights. Nice spacious rooms throughout the house. Two living areas, 3 bedrooms with 3 full baths. Not many houses in this area with 3 full baths. New toilets, nice hardwood floors, ceiling fans, central heat and air, and check out the long drive way for multiple vehicles." "This single level home that Features 3 bedroom 2 bath with a full renovation ready for immediate move in. 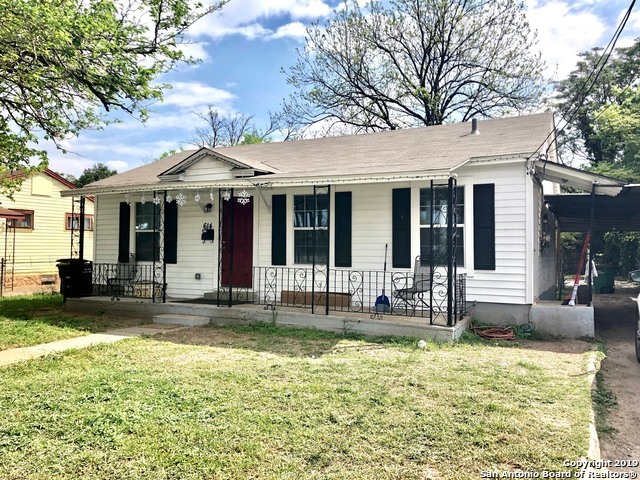 This home offers unbeatable value with a new roof, new electric, new pluming, new sewer connections, new flooring, new texture on the walls, new paint, new trim, new windows, and new central A/C unit. This home has easy access to major highways, minutes from thriving downtown, word class dining, shopping, and entertainment. Perfect for a first time buyer, small family or turn key investor st"
"Nicely Finished Wood Floors, Brand new Roof!! Stainless Steel applianced Kitchen, Meticulously Kept, Shade Trees, Fenced Yard and shows Well! Actual home is 3bedrooms with a Detached Conversion in the rear is a 1 Bedroom Apartment currently having a month-to-month tenant. Great Mother in law suite!!. Extra Storage too with shed! This sweet home will not last, hurry in with your buyer! Bring all offers!" 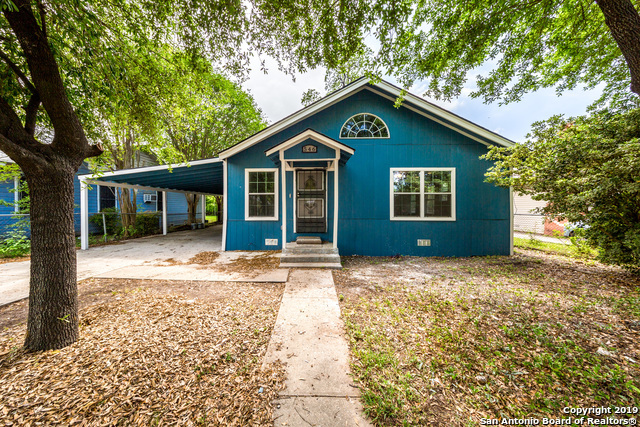 "Great Location close to the South Town and all the San Antonio River amenities." "This is a cute 2 bedroom 1 Bath home with a nice big yard. Cute white wrap around front porch. Washer/dryer hook ups, and close to community center. 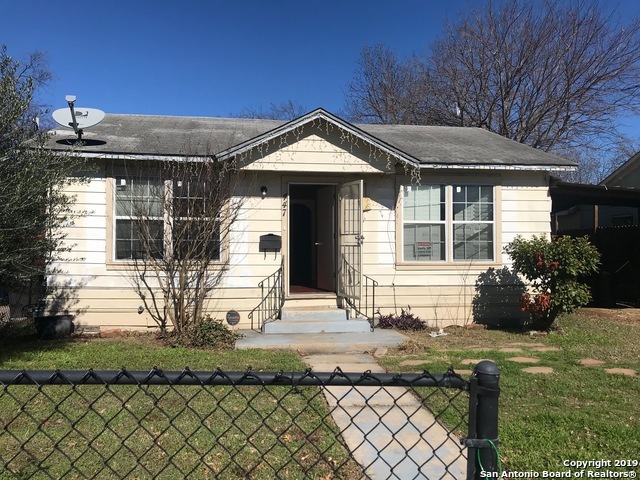 Owner will consider owner financing at asking price of $115,000 with 10% down payment and a 9% interest rate for a negotiated term of the loan. Seller will pay no closing costs and make no repairs. Co-listed with Shila Egalite." "Calling all investors...cozy single story in the desirable Palm Heights area. Needs very little work! Original Hardwood floors are in great condition. Recent updated include, new tub and surround, new pedestal sink, interior paint. Property has an oversized carport in the rear. Property is great for long term rental or short-term AirBnb. 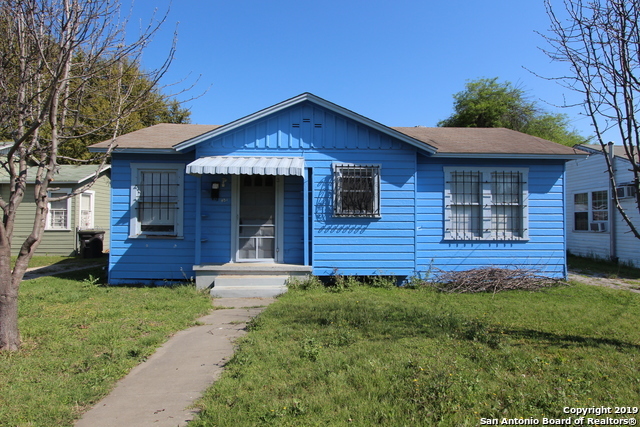 Close to Southtown, and conveniently located near the highway!"